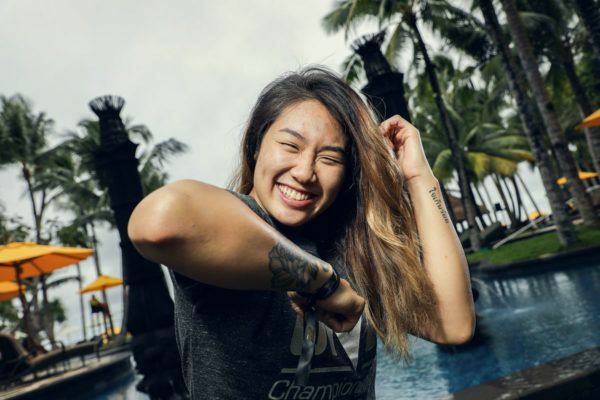 “Unstoppable” Angela Lee has a lot of goals to accomplish in 2019, and she is anxious to hit the ground running with a bout for the ages. The ONE Women’s Atomweight World Champion will take on the biggest challenge of her career as she steps up in weight to face “The Panda” Xiong Jing Nan for her strawweight belt. 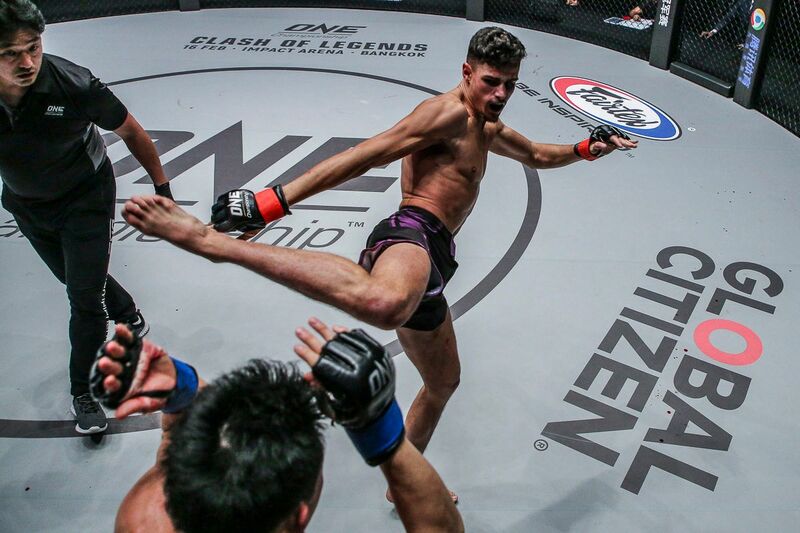 The contest will take place at The Home Of Martial Arts’ historic first show in Japan – ONE: A NEW ERA on 31 March at Tokyo’s Ryogoku Kokugikan. Will Angela Lee win a second World Title and cement her legacy as one of the greatest pound-for-pound female martial artists in history? Last year ended with Lee only competing once in 2018, though that was a successful defense of her atomweight belt against Mei Yamaguchi in May. Unfortunately, injuries kept Lee from stepping back into the cage before the year was over, but that is only adding to her motivation as she prepares to tackle 2019 with a whole new level of intensity. “Moving into 2019, [my injury] makes me even more excited and more motivated than ever to stay really busy, stay active, and go after this second division this year – kind of making up for lost time,” Lee says. First things first, Lee has her World Champion versus World Champion showdown that was first scheduled for ONE: HEART OF THE LION in November. In Tokyo, Lee will also share the stage with two more World Championship bouts, as well as the debuts for both Eddie Alvarez and Demetrious Johnson. As much as the 22-year old atomweight queen wanted to face Xiong last year, she admits she is delighted to feature on this momentous card instead. “I’m ecstatic about it. It’s another history-making moment because it’s the first time ONE is going to hold an event in Japan,” Lee says. 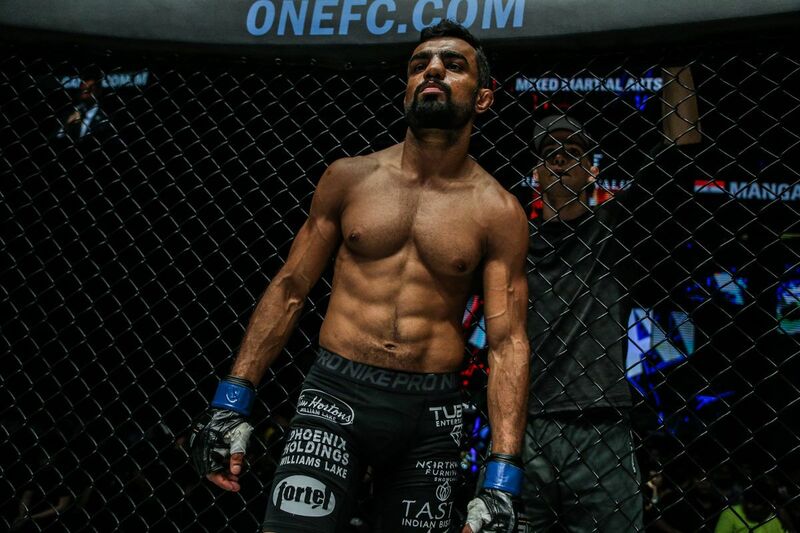 “Japan is one of the places I’ve always wanted to fight in. Now we have that US TV deal, it’s going to be televised for everyone to see, so it’s a big event. Of course, I wanted the fight to happen in November, but I’m just as happy to wait a few months to have it in Tokyo. 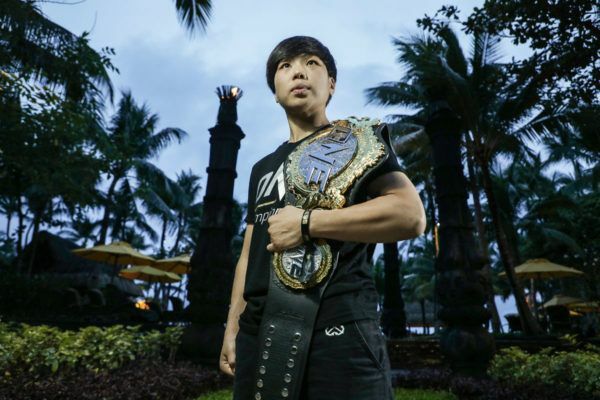 The chance to become the first woman to hold two World Titles in ONE Championship is also something that Lee has been dreaming about for some time. The Evolve representative knows she has a very tough challenge ahead of her though. 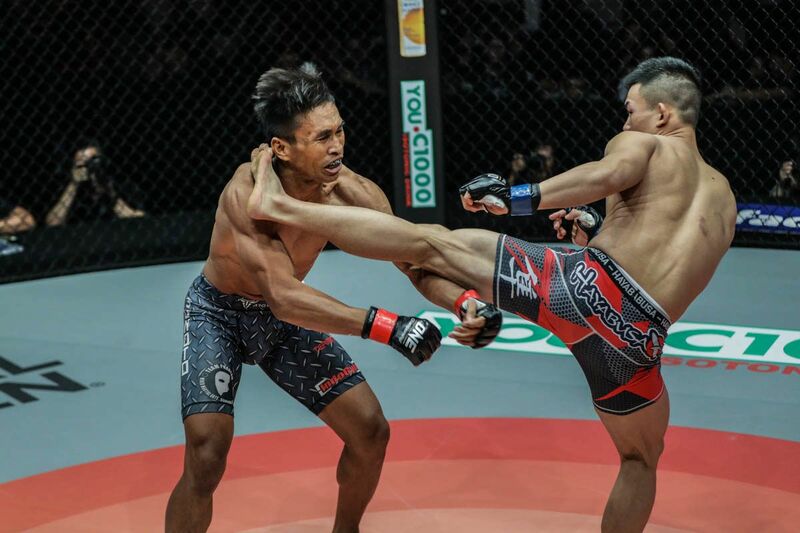 Xiong is a noted knockout artist and will bring a size and power advantage into their match-up. Still, Lee believes she has the skills and the determination it will take to make history and become a double World Champion in her first bout back in 2019. What does Angela Lee mean to you? Let us know in the comments! “This is the biggest fight of my career because I’m going up in weight, and I’m fighting for the opportunity to become the first female two-division champion in ONE Championship history, and that’s a huge, huge goal of mine,” she adds. Assuming all goes well on 31 March, Lee does not plan on slowing down for the remainder of the year. If she is fortunate enough to sit at the top of both strawweight and atomweight divisions, Lee promises that she will be an active World Champion who takes on all comers across the weight classes. Lee knows she has lost a lot of time due to injuries in the past, and nothing would make her happier than to make 2019 the busiest year she has ever had in her career. Tag a friend who needs to see Angela Lee go for her second World Title on 31 March! “Moving forward, I want to fight at least three or four times this year,” Lee reveals. Will we see the "Unstoppable" Singaporean set up some amazing matches as she rules over two weight classes next year? Prepare for three World Title bouts, a ONE Super Series clash of legends, and two World Grand Prix contests featuring the debuts of American icons.